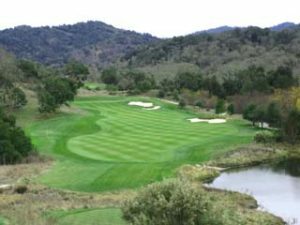 The Preserve Golf Club at Santa Lucia Preserve, ranked among “America’s 100 Greatest Golf Courses” by Golf Digest, will host the 2018 California Senior Amateur Championship from Nov. 12-14. The Preserve has also agreed to host the 2021 California Amateur Championship. In its 27th year, the California Senior Amateur is the premier state event for players ages 55-over. Past champions of the event include California Golf Hall of Famer Gary Vanier, Jeff Burda and 2017 NCGA Hall of Fame inductee Casey Boyns. Mark Morgan, a member at Serrano Country Club, won the 2017 championship at Pauma Valley CC in Pauma Valley. The California Senior Amateur annually rotates between north and south courses, with north courses hosting in even years and south courses hosting in odd. The 2018 championship will mark The Preserve’s debut as part of the north’s legacy. The California Senior Amateur Championship also includes a team event during the first two rounds comprising four selected golfers from the NCGA and Southern California Golf Association. The NCGA leads 14-7 in the series, which began in 1995. The 2021 California Amateur Championship will mark the 110th playing of that championship. One of the nation’s oldest state championship, the California Amateur winners’ list includes Ken Venturi, Johnny Miller and Mark O’Meara. Designed by Tom Fazio in 2000, The Preserve Golf Club is regarded as a perfect blend of golf and nature set in the Santa Lucia Mountains. It is the centerpiece of a private community of only 300 home sites situated on 20,000 acres in scenic coastal mountains next to Carmel-by-the-Sea. Weaving through wide mature oaks, grassy meadows, flowing streams, and majestic ridges, the continuous 18-hole routing captivates players with its tranquil ambiance. Players are confronted with multiple angles off the tee, consistently engaging challenges on the approach, and a myriad of short game options around the boldly contoured greens. It all ties into a landscape featuring breathtaking views framed by valley and coastal live oaks, coastal redwoods, and sycamore trees. Common wildlife includes golden eagle, red tail hawk, wild turkey, gray fox, mule deer, bobcat, and the occasional mountain lion. The club annually hosts The Stocker Cup, a prestigious mid-amateur golf tournament attracting an international field of accomplished players. For more information on The Preserve, please visit santaluciapreserve.com or call 831-620-6700.